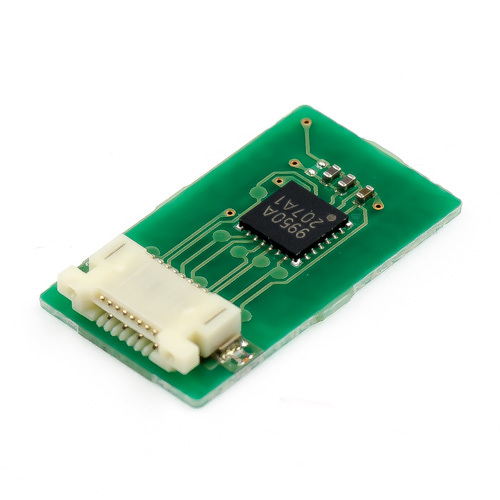 This is FeliCa wireless module that enables transmission between NFC reader/writers and other Electronic equipments or gadgets. The NFC Dynamic Tag can be driven by 8-bit microcontrollers including Arduino using serial communicatoin. The difference between RC-S801 and RC-S802 is the size of its antenna. S801 has bigger antenna so it supposed to have bigger square tolerance zone when communication with reader/writer. Both module has 0.5mm 8pin FFC/FPC connector. Note: If you want to use this board with breadboard, we recommend our FeliCa Plug Pitch Conversion Board.